VINYL ON VINYL: tokidoki's creative director Simone Legno at VOV this April 26, 8pm! tokidoki's creative director Simone Legno at VOV this April 26, 8pm! In a world where countless trends and designs are churned out every second, standing out is feat not everyone accomplishes, let alone achieving global, cult-like status. Safe to say, Tokidoki is one that has succeeded in the task. With its buffet of wide-eyed, criminally cute characters and playful aesthetic it’s not hard to see why the brand has achieved such success. 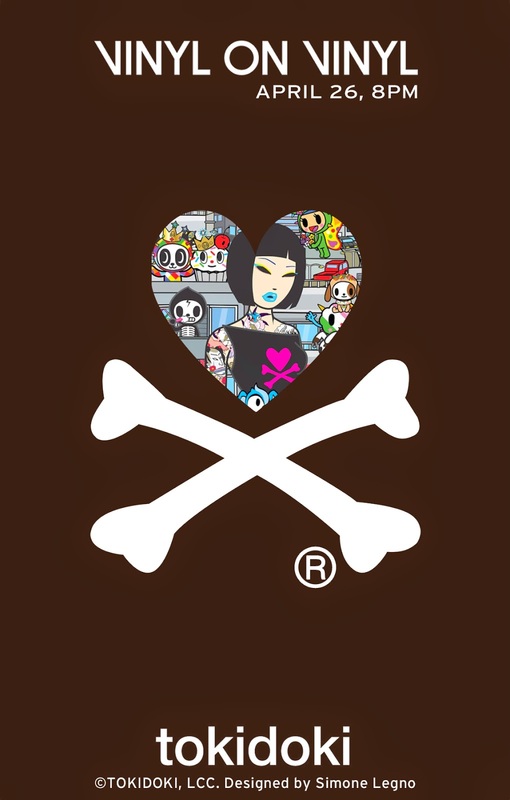 Since debuting in 2005, Tokidoki, with its colorful characters in hand, has amassed a cult following and has emerged as a sought-after global lifestyle brand. With partnerships with big brands such as Hello Kitty, Karl Lagerfeld, LeSportsac, Barbie, Onitsuka Tiger, and Marvel, just to name a few, Tokidoki has risen to become a big brand in itself. Tokidoki, which translates as “sometimes” in Japanese is the brainchild of Italian artist Simone Legno, with his partners Pooneh Mohajer and Ivan Arnold. Simone Legno, the creative director of the brand, has had art as his companion since he was a child. It is with a box of pencils in one hand and a hunger for creating in the other that the beginnings of Tokidoki would eventually perpetuate. Continuing his childhood passion and sharing it to the world, Simone has been a sought-after speaker around the world at museums, universities and conferences. He will be showcasing his works in the Vinyl on Vinyl gallery in the Collective, Makati. Vinyl on Vinyl has had its fair share of international artists exhibiting in their space, from Jon Burgerman to Tara Mchperson, and Arkiv Vilmansa to, more recently, Gary Baseman. Catch him and his technicolored creations on April 26, 2014 at 8pm, in the Vinyl on Vinyl gallery at the Collective, 7274 Malugay Street, Makati.